January 2003. GlescaPal Ronnie McPhee sent in this class photograph. Bernard Street school photo sent in by Ronnie McPhee 59/60. 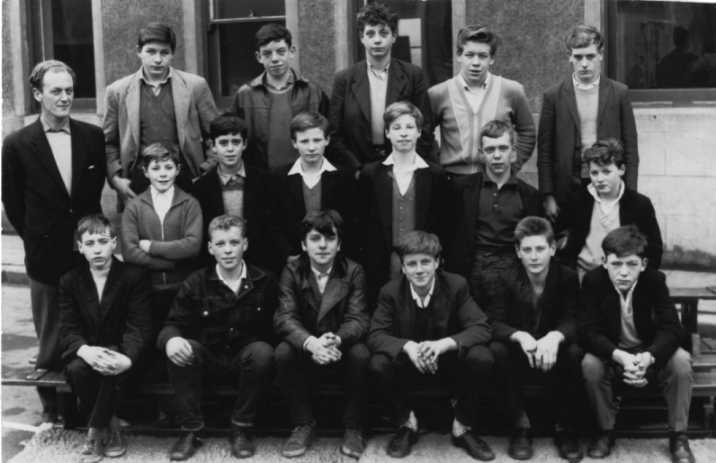 I was in that class the two that dont have names are Blair and Durning canny mind their first names, the one on the end top row I am sure he was Albert Black.